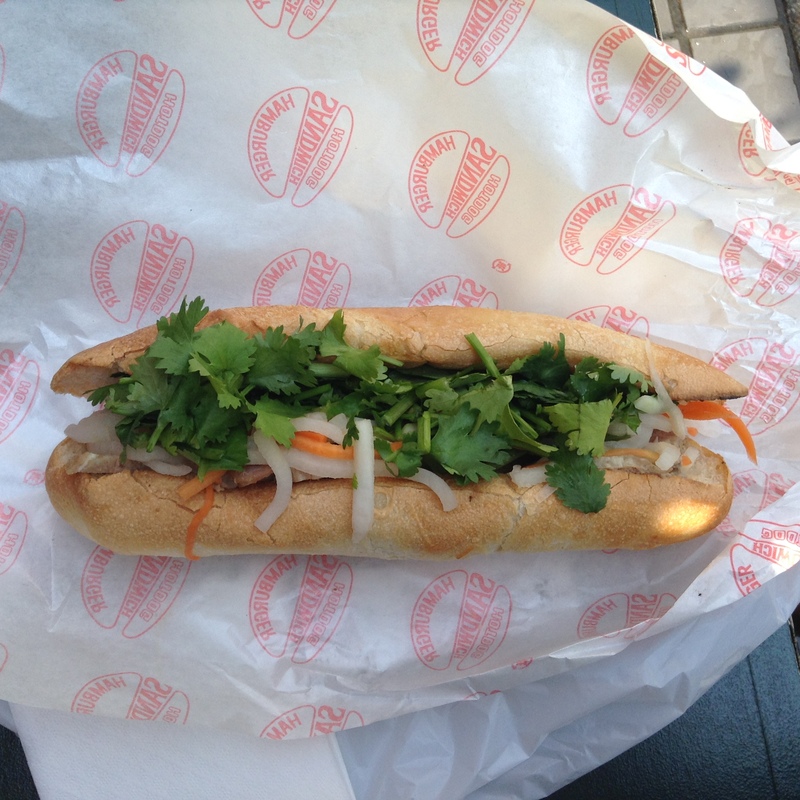 Thanks to a tip from JapanEats I finally found what I believe to be the best banh mi in Tokyo at Banh Mi Sandwich. The bun has a nice crust but is chewy inside. The pate and ham banh mi (550 JPY) remind me of what I had in Chinatown in NYC and there is a generous serving of pickled carrots and daikon. I splurged an extra 50 JPY for extra cilantro. The shop is only a minute from Takadanobaba station and is a tiny shop. Only one person can fit inside at a time to use the vending machine to place your order. There are two narrow seats in front of the shop, but it was busy with diners waiting for their orders to be filled. Consider this a take-away shop. I am already trying to figure out in my calendar when I can go back. For a city with some of the world’s greatest food, there are some things that just are not easily available, like banh mi. I am still on the hunt for Korean fried chicken, like Bon Chon in NYC. If anyone can help me, please let me know. Whether or not it’s anything like Bon Chon in NYC, who knows…only one way to find out! Good hunting.